First impressions: This is a fun bar with a strong dedication to its theme that really pays off. Everything from the staff to decorations and even the entrance (a small office with a secret doorway leading downstairs) adds to a simultaneously laid-back and ready-for-adventure vibe. You’re treated like a real spy on break — never sure when you’ll need to be pulled back into action. The atmosphere: Everyone here is looking to mingle and enjoy the spy theme that surrounds them. 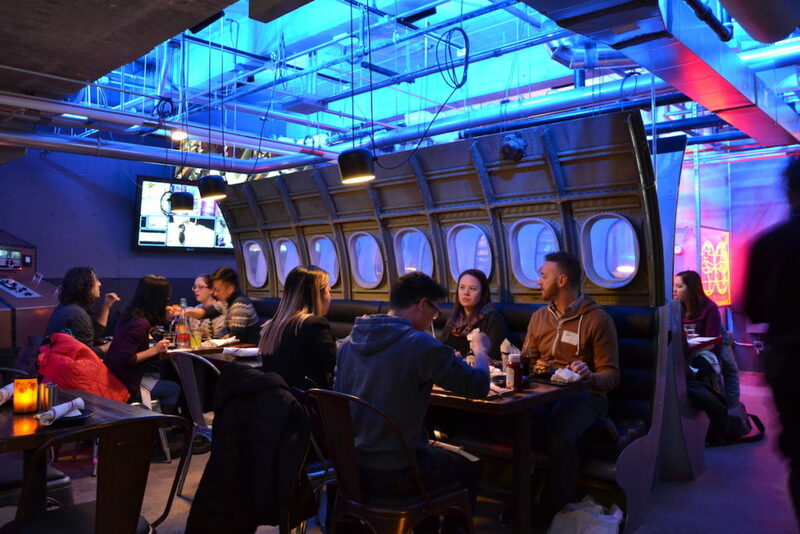 Between the full bars on either end, there are tables, a dance floor and a wide array of spy-like gadgets. In between drinks, you can check out the retina scanner or the comfy chair hidden behind a revolving wall. The crowd can’t help but play along with the theme, and meeting new people is encouraged by the “Agent” nametag you’re offered when you walk in. The theme makes it fun for a large group of friends, and the venue offers office and bachelor/bachelorette parties. 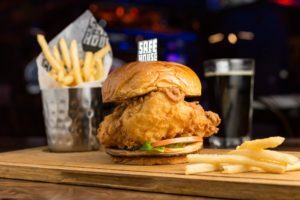 Menu specialties: Safehouse does an excellent job of mixing your typical pub-style food with fancier items fit for an international spy. Their Milwaukee roots are best represented by the delicious cheese curds, but dishes like the prime rib timed drop sandwich and the station chief’s salmon offer something a little more high-end for a filling meal. If you’re thirsty: Safehouse has a fair selection of everything from red and white wines and crafty cocktails to draft and bottled beers. 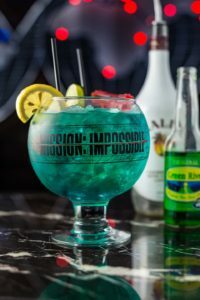 As you might imagine, every cocktail has clever spy-themed name and is served in a signature Safehouse glass. I recommend the lemony Vesper Lynd—holding a Cosmo glass with ice and lemon peel completes the after-hours spy look. It’s a great spot to… let off some steam by playing along and creating your own spy adventure. … enjoy some great food and conversation .… dance the night away like a top-secret agent. … have fun along with the crowd and staff. The vibe at Safehouse changes with the time of night. Like a spy, you should be prepared for anything, but mostly, a good time.